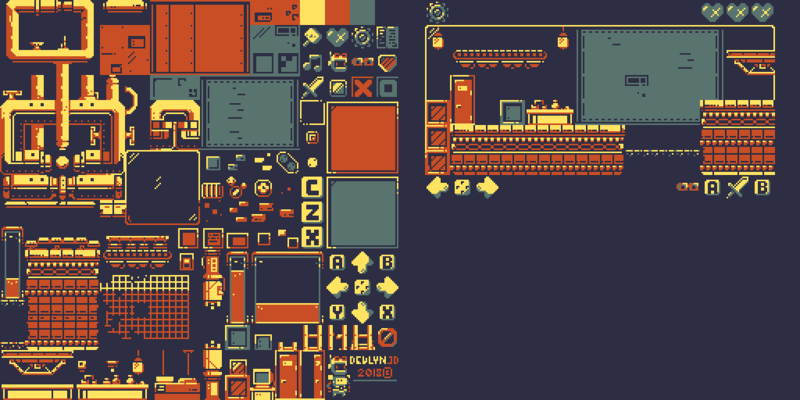 This lite version of a platforming pixel art tileset comes in two preset color palettes. Is it old? It just looks that way... Good for the learnings! Good for the games! 16px tiles. 256x256px png images. 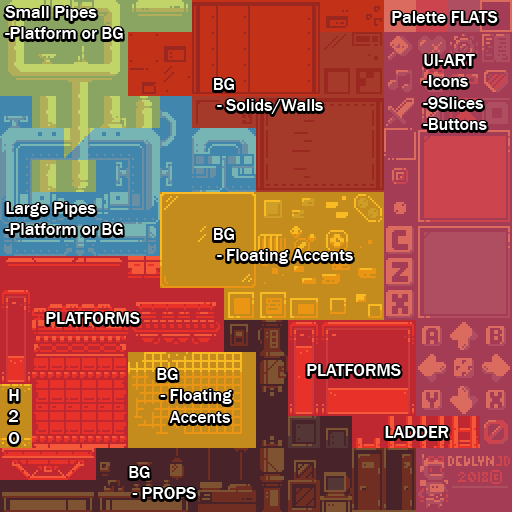 - Color-coded key sheet included. 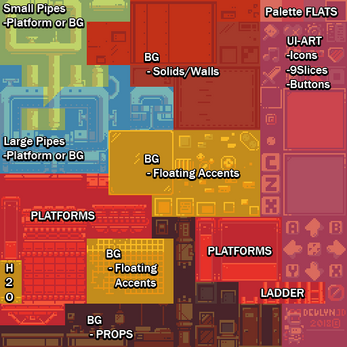 The lite+ version has the BG color baked into the tiles. The premium update is scheduled to have transparency, separate animation & fx elements, and source file. License is for use as-is in your game work, personal or commercial. Do not redistribute the assets, free or paid. Questions? Modifications? Please let me know!